I built this the other day from those weird gear plans from Clayton Boyer. 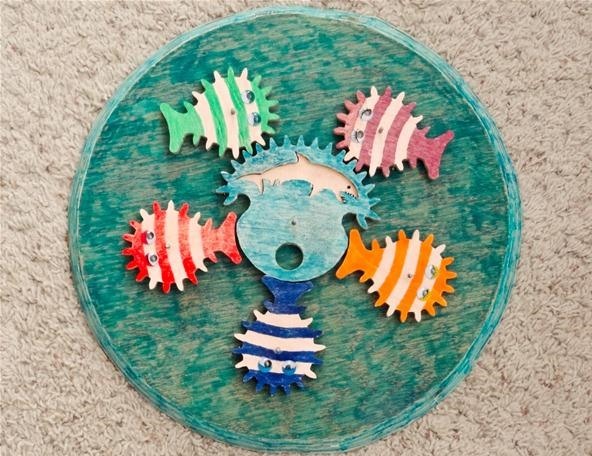 If you own a scroll saw, these plans are fun to cut out and watch as they turn. I would like to do a post someday on these and other weirdly shaped gears. Hopefully, I can get Clayton Boyer to allow me to share a template or two! News: Explore France's First Fishing Port In "Le Guilvinec"
You should check out Clayton Boyer's site for the other videos for his weird gears. Some of his gears will actually tesselate the plane and still rotate!